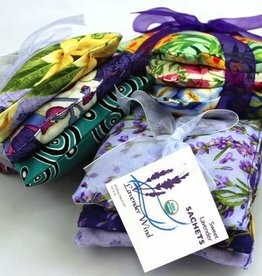 As far back as the Roman era and the Middle Ages lavender has been used to keep away illness, bad smells, and insects. 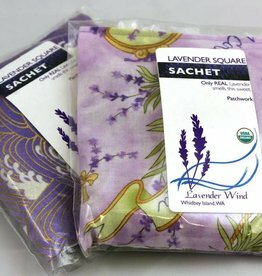 Use in your linen closet with sheets to promote good sleep or in your clothing drawers for a marvelous scent from another time. 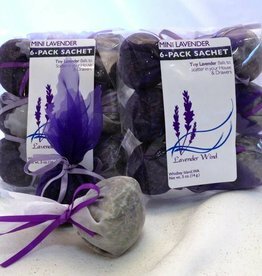 Six mini sachets, perfect for little places.